Natural Health News — A new evidence review suggests that yoga may have a beneficial effect on symptoms and quality of life in people with asthma. Asthma is a common chronic disease affecting about 300 million people worldwide. The many typical symptoms of asthma include wheezing, coughing, chest tightness and shortness of breath. It can be hard to treat with just one approach so finding a right combination of approaches is important to helping sufferers. Yoga originated from ancient India and remains an important element of India’s diverse culture. Common components of yoga include breathing exercises (pranayama), postures (asanas) and meditation (dhyana). It has gained global popularity as a form of exercise with general life-style benefits, and recent studies have investigated the potential of yoga to relieve asthma-related problems. » While the ancient practice of yoga has no specific asthma postures or breathing exercises, previous studies have shown some benefits for asthmatics. » A new review, which looked at quality trials into yoga’s effect on asthma, has concluded that it may help improve quality of life – both physical and emotional – for asthmatics. 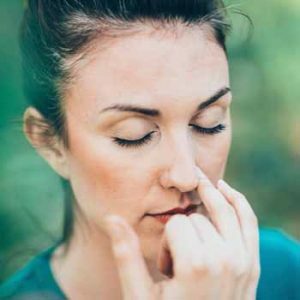 » Although there was no evidence to suggest yoga could lower medication use or improve lung function, previous studies have shown that yogic breathing can have an impact on these. The new review summarises the results of existing trial into yoga as a treatment for asthma. The team from the prestigious Cochrane Collaboration uncovered 15 randomised controlled trials which involved 1,048 men and women. Most of the trials were conducted in India, followed by Europe and the United States. The majority of participants had mild to moderate asthma for six months to more than 23 years. Six studies looked into the effects of breathing alone during yoga exercise, whilst the other studies assessed the effects of yoga that included breathing, posture and meditation. Most people continued to take their usual asthma medication while participating in the studies. The studies were conducted over a time period of two weeks to over four years. The researchers found some moderate quality evidence from five studies that yoga exercise reduces the impact of asthma on people’s quality of life. Quality of life issues surveyed included physical and emotional impact of disease such as its impact on activity and exercise, sleep and work, as well as moods. However, evidence about yoga’s impact on the participants’ lung function is more uncertain because the results varied. The effects of yoga on medication use and any side-effects of yoga are also uncertain, because only a few very small studies reported these outcomes. As a holistic therapy, yoga practice contains no asthma-specific posture or breathing exercises. The exact mechanism by which yoga may affect asthma symptoms is not fully understood, but several explanations have been proposed. The first has to do with the breathing pattern in yoga practice. Some trials in people with asthma have demonstrated that specific breathing exercises or techniques could help improve breathing, and reduce acute exacerbations and rescue bronchodilator use as compared with no intervention, and could significantly improve quality of life as compared with asthma education. In addition breathing exercises in yoga practice could help release suppressed emotion, reduce anxiety and self-consciousness, and relax tense muscles and this too can help improve symptoms. For those with severe asthma there is no suggestion that yoga alone is a treatment but, for many, yoga could be used in conjunction with other treatments would seem to bring benefits. 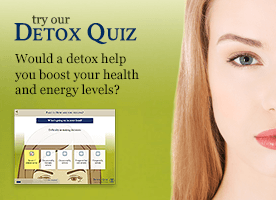 Q&A: What is alternate nostril breathing?